When we asked Sam Watts — captain of the 41-metre SY Surama — if he would like to cooperate on the first edition of the Balk Shipyard captain’s story, we immediately got a big yes. It is something different than the usual talk about yachts, it is a talk with crew on yachts! While sitting down with Sam it soon became clear that he always had a love for the ocean and that he is a man who likes to explore the world. He got that chance back in New Zealand and the South Pacific Islands 14 years ago. By gaining experience in the responsibilities of running and maintaining a yacht, he soon wished to progress and make these his own responsibility. He definitely succeeded as he has worked on SY Ipixuna, SY Galileo, SY Ganesha, SY Moonbird and now for already three years onboard of SY Surama together with his partner Gemma who works onboard as a Chef. They joined SY Surama in 2013 in the Mediterranean when her current owner purchased the yacht. Since then they have extensively cruised the Mediterranean from East to West over two summers, a winter season in the West Indies including competing in the St. Barths Bucket Regatta and last summer season cruising from the South of England through Scotland, the Norwegian Fjords on the West coast, the South coast of Norway, the West and the East coast of Sweden, Denmark and the Baltic Islands and ended in Helsinki in Finland. 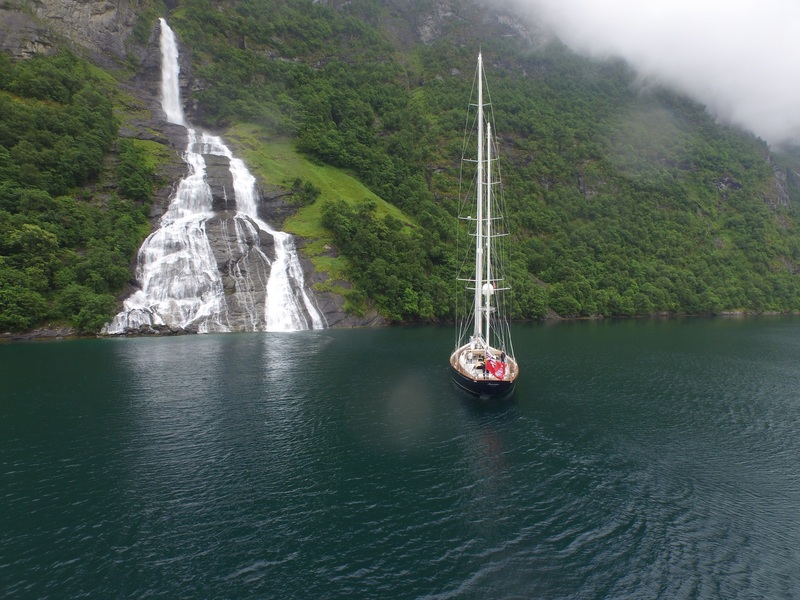 When asking about his most memorable trip Sam says: “For me personally the most recent Summer season cruising the North Atlantic and Baltic has been the most memorable trip on Surama. With the variety of countries visited and the spectacular scenery rarely visited by yachts our size made for a truly memorable season.” After this trip Surama’s Owner decided to have some maintenance and refit work done. It was decided to set sail to the safe harbor and good facilities at Balk Shipyard. The maintenance work has been carried out by the crew of Surama, Royal Huisman and the team at the Balk Shipyard premises. - Rebuild and service among various other smaller works.